Macabre Clue Leads Police to Suspected Thief: This month's entry in the annals of truly stupid criminals: Police in Arizona say they found a would-be thief thanks to the suspect's own severed finger ... and a Popsicle stick. 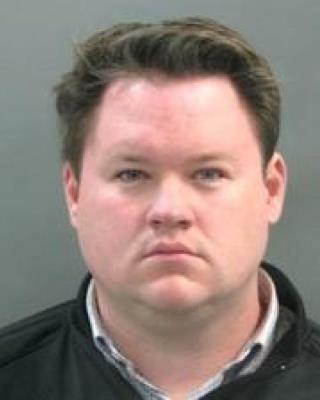 St. Louis Man Busted Over World Series Tweets: A few years back, Bobby Metzinger's "social media expertise" landed him a job in the field; now, it's landed him in court. The St. Louis Cardinals fan allegedly wrote some seriously ill-advised tweets as the World Series kicked off. A First? Driver Gets Ticket for Wearing Google Glass: It's a tech milestone of sorts. A woman in San Diego has gotten what might be the first ticket for driving while wearing Google Glass. She got pulled over for speeding, but ended up with a second citation. This 20-Year-Old Is a Suspect in 79 Murders: He's just 20 years old, but Juan Pablo Vazquez is believed to have killed 79 people ... at least. Security officials believe most of the homicides were committed in 2012, and if the word that comes to mind about all this is "shocking," well, we have news for you: Officials don't find his arrest "shocking." Woman's Remains Found at 2 Water Plants Near LA: A grim case in California: The remains of what may be a single person have been found in two separate wastewater facilities outside Los Angeles. Police are treating the case as a homicide; the victim may be a Hispanic woman.